Heat oven to 375°F. 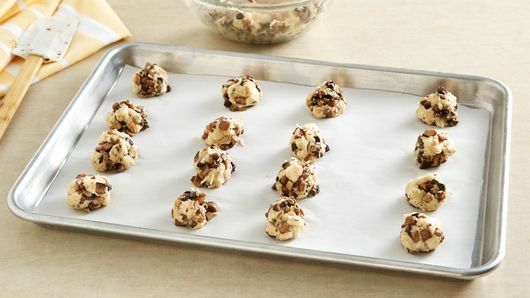 Line two 15x10x1-inch pans with cooking parchment paper; spray with cooking spray. Spray 10-inch skillet with cooking spray. 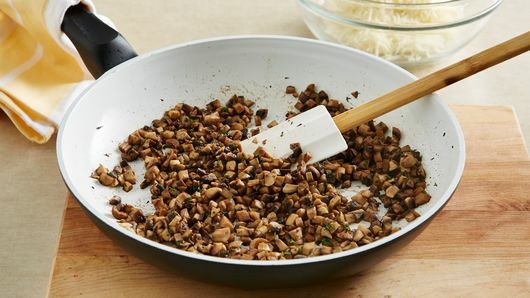 Add mushrooms; cook over medium-high heat 5 to 7 minutes, stirring occasionally, until tender and most of moisture is released. Stir in thyme and salt. Remove from heat. Cool 5 minutes. In large bowl, stir mushrooms and cheese until well blended. Unroll dough on work surface. If using crescent roll dough, firmly press perforations to seal. Sprinkle each side with 1 1/2 teaspoons flour. 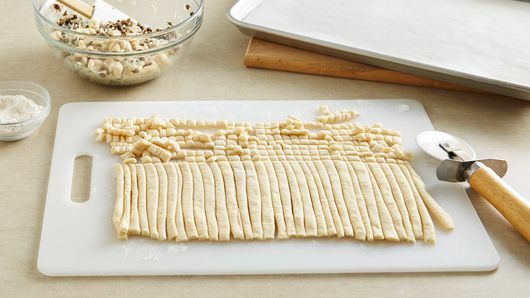 With pizza cutter or sharp knife, cut dough into about 1/4-inch pieces. Mix dough pieces into mushroom mixture in small amounts until well blended. Shape mushroom mixture into 32 (1 1/4-inch) balls. Place in pan. Bake 16 to 18 minutes or until golden brown. 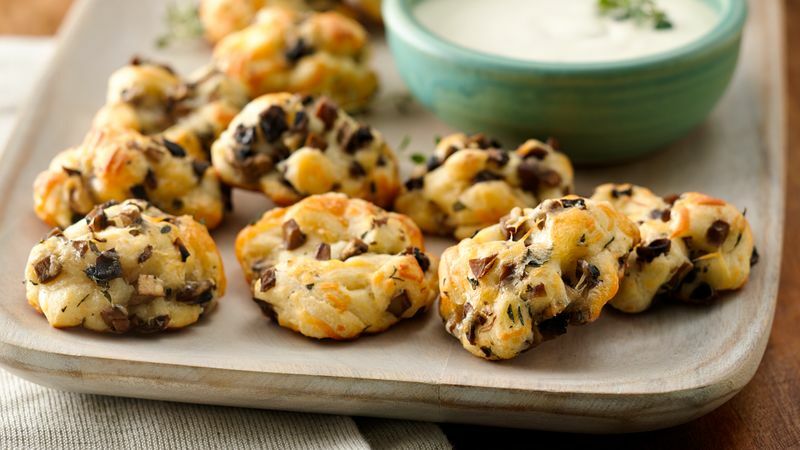 For a different flavor, try cremini mushrooms. Serve with your favorite flavor aioli, ranch dressing or marinara sauce for dipping.